This page contains a description of the policies for managing the website in regard to processing the personal data of the users who visit the site and their privacy. This information is provided pursuant to article 13 of Italian Legislative Decree no. 196/2003 and GDPR 679/2016 – Laws concerning the Protection of Personal Data - and the individuals who interact with the web services of HOTEL MOZART MILAN, which is accessible by telematics means through the following web addresshttp://www.hotelmozartmilan.com: ; http://www.hotelmozartmilano.it; which corresponds to the home page of the official website of Hotel Mozart, Piazza Gerusalemme, 6 - 20154 Milano. This informative note is provided only for the aforementioned website and not for other websites eventually accessed by the user through links. Following access to this website, data pertaining to persons that are identified or identifiable may be processed. The “Data Controller” of the personal data collected following a visit to our website or any other data used for providing our services is Hotel Mozart Srl, Piazza Gerusalemme, 6 - 20154 Milano, the data protection coordinator is Mr. Massimo Bruno that you can contacted by e-mail address: [email protected]. Cookie implanted in the user/contracting party's terminal directly (that will not be used for other purposes) such as session cookies used for on-line booking on the website, authentication or customisation cookies (for example, the choice of the browsing language); these cookies remain active only for the duration of the session. The data will be shared with the website google.com The privacy policies available on the websites described above. Visitors in any case can turn off the advertising features of Google Analytics on this site by installing the Add-off for your browser downloadable from this LINK. In the event of reservations made through the website, the user must provide his name, address, telephone number and information regarding the payment manners and credit card used. 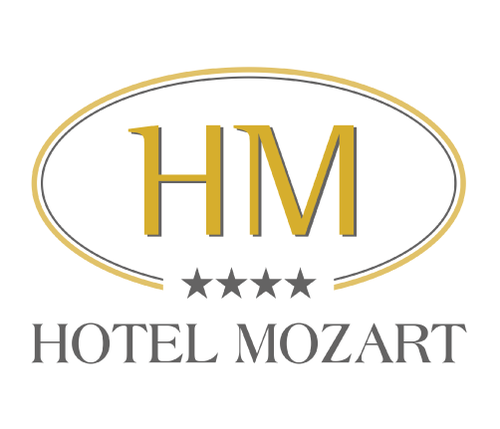 Hotel Mozart Srl will use said information only for elaboration of the reservations and to send specific information, which is relevant to the confirmation of said, such as a receipt, the reservation code and the conditions. The information provided will not be used for marketing purposes and will not be sold, transmitted, given by contract or sent to third parties in any way, with the exception of our provider of on-line reservation services, Travelclick only for online reservations purposes. Except for that which is specified for the navigational data, the user is free to provide the personal data listed in the request forms of Hotel Mozart Srl or through contacts with the Office in order to make on-line reservations or to solicit the receipt of informative material or other communications. A lack of conferring this data may cause an impossibility to obtain what is requested. Data subjects are entitled at any time to exercise his rights as provided for in Section 7 of Law 196/03 and Chapter III GDPR 679/2016, in particular, the right to obtain confirmation as to whether or not personal data concerning they exist and the logic applied to the processing, the right to ask for their integration, the right to object to their processing on legitimate ground, and the right to request rectification, updating, erasure (right to be forgotten) or blocking of data that have been processed unlawfully, the right to obtain a copy of the personal data being processed as well as the right to data portability. The requests should be sent to Hotel Mozart Srl by e-mail address: ([email protected]).